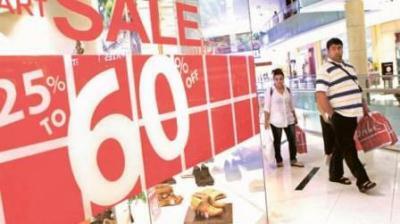 Dubai: Did you miss the last mega sale in Dubai where retailers went all out on discounts? Don’t fret – there are still so many deals to be had, as the clearance season is far from over yet. In case you haven’t already heard, the annual Dubai Summer Surprises(DSS) will be returning later this month for its 21st year and during the summer-long event, shopaholics are in for another bargain-hunting frenzy, with at least three mega sales events coming their way. Organisers have just confirmed that at least 3,000 stores will be offering non-stop discounts of up to 75 per cent from June 22 to August 4. All throughout the DSS period, consumers can have opportunities to save money when they pick through the racks of more than 700 brands, and discounted products will likely include clothes, shoes, bags, home furnishings and so much more. However, on top of the 44-day shopping festival, steeper price cuts will be up for grabs on two weekend sales. During the DSS’ opening day, retailers at Mall of the Emirates, Deira City Centre and other Majid Al Futtaim-owned shopping centres will be slashing the prices further by as much as 90 per cent, but this will be happening for only 12 hours. And between August 2 and August 4, expect more eye-popping deals at the Final Weekend Sale. The upcoming promotions will be rolled out across the malls in Dubai and they’re expected to be bigger than the last citywide Super Sale in May 2018, when at least 1,000 retailers took part. With the majority of UAE residents now looking for sales and promotions to save money, the shopping promotions are likely going to attrat huge crowds. According to a new study, consumers are delaying purchases and waiting for discounts to be offered at the shops. Also from June 23 until August 1, shoppers should keep an eye out for the Deal of the Day, which will be an exclusive retail product to be sold at a specific store. The deal will be revealed 24 hours in advance and promises to offer huge savings to shoppers. The sales are organized by the Dubai Festivals and Retail Establishment (DFRE), an agency of the Department of Tourism and commerce Marketing.